Do you ever get taken with a piece of fashion that up until a particular point in time, you’ve more or less ignored? That happened to me this winter! I have some tried-and-true style combos that I love and turn to time and time again. But this fall and winter, I kept seeing jumpers. 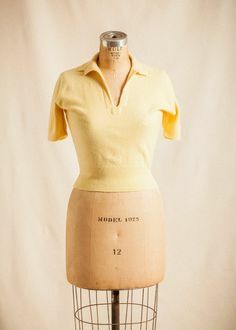 A lot of the modern takes on them didn’t grab me for obvious reasons, but I started poking around at photos and sewing patterns for vintage versions. And of course became a woman possessed. Why had I never thought I’d want to wear that style before? Because suddenly I had to make one get into my wardrobe, stat! Ironically I sewed it in a frenzy and then it sat on a hanger for 5 or so weeks before I got around to taking photos, but I knew if I started wearing it, I’d never photograph it! So here is it. 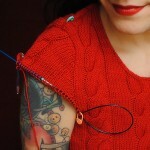 This is what I’m calling my Ultimate Sheath Jumper. And I freaking love it. Love it LOVE IT! But I needed to make a few very minor changes to both the bodice and the skirt to make them match up. 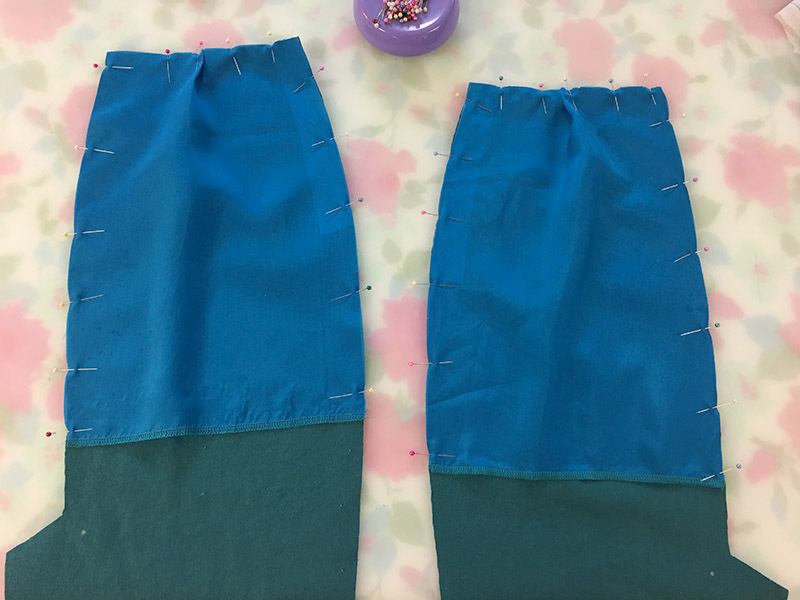 The skirt was a lot easier: I’d already changed it to hit at my natural waist (detailed in this post), so all I had to do was move the front and back darts over to match the placement of the darts on the bodice. I figured if I had to pick ones to move, the skirt made sense. That worked out perfectly! For the bodice, to make it fit a little more comfortably as an actual jumper, I lowered the armholes 1/2″ to give myself a bit more room to fit sleeves underneath, and widened the shoulders about 1/4″. I raised the back neckline an additional 1 1/2″ from the 3/4″ I’d raised it before (in my Sweetheart cowgirl birthday dress), since I liked the scoop but didn’t want to show that much shirt underneath. I also lowered and changed the shape of the front neckline. And I gave myself a hair more room at the side seam on the bodice, to match the skirt. Which means it could nip in a bit more to give me a bit more waist definition, but it’s super comfy the way it is, and probably better suited for winter and layering that way. 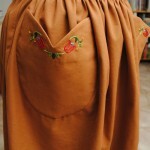 But I did use rayon lining to partially underline the skirt. This is a really cool thing. I never photographed my second Ultimate Pencil Skirt where I did this technique, but I borrowed it from a vintage pencil skirt of mine: you cut a lining piece for half the length of your back (a couple of inches above the vent or kick pleat), sew the darts or pleat them (I did pleats, gives a hair more ease), hem the raw lower edge (or serge it for less bulk), and then baste it to the back pieces and treat them as one with the back. It’s worth noting I always use fusible stay tape for my zippers, so I added that to the corduroy before basting the underlining. Below is what that looked like, before I’d basted it all together. I think I may also have added a tiny bit of ease to the side seams, but can’t recall. Going by just the photo, I’d say yes. 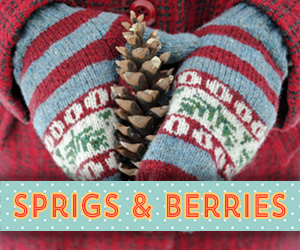 It’s a fantastic little trick—thank you vintage sewing! While you use a stable woven for the underlining, putting it together with a stretch woven like I have done doesn’t limit your movement since it’s only half, and only in the back. But it does help the back from getting saggy baggy quickly. Because that’s not really an attractive look for a pencil skirt, right? Some people prefer full linings but I hate them. My experience is that I’m just too clutzy and uncouth. 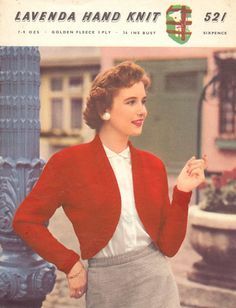 For example, I did a half lining of my original Ultimate Pencil Skirt and then took it to France and the UK last fall and broke both of my crochet thread chains within a day or so. And let’s not even discuss the ridiculousness of wearing a sheath style dress that has to be pulled up to use the bathroom, when there’s a half or full lining inside that’s not attached completely. Let’s leave it at that. Underlining the back all the way. Anyway, because I used stretch corduroy, this thing is comfy, for such a sleek look! I love that about it! 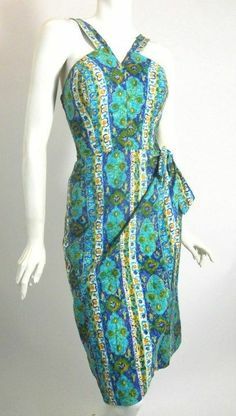 Sheath dresses aren’t usually my thing—at least, they haven’t been, historically. But I have a vintage red velvet one that I wore a couple of times to fancy events in 2016 and I adore it, and it probably got me used to the idea of wearing and sewing one. 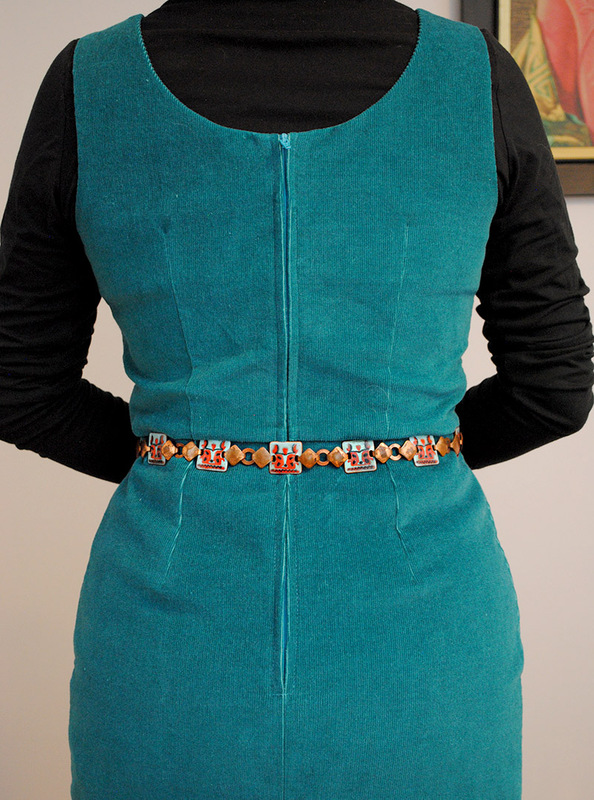 I do kind of prefer this particular jumper with a belt, which is why I wore it with a great vintage copper and enameled belt. I have a hard time finding belts I like and I am loathe to sew them myself. 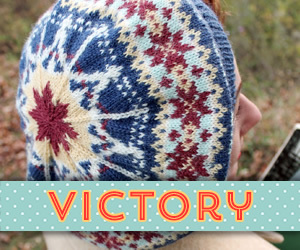 I know I should but when I’m done with a project I am done… maybe I should try making one first instead. Which probably means I’d never want to start it, ha ha. 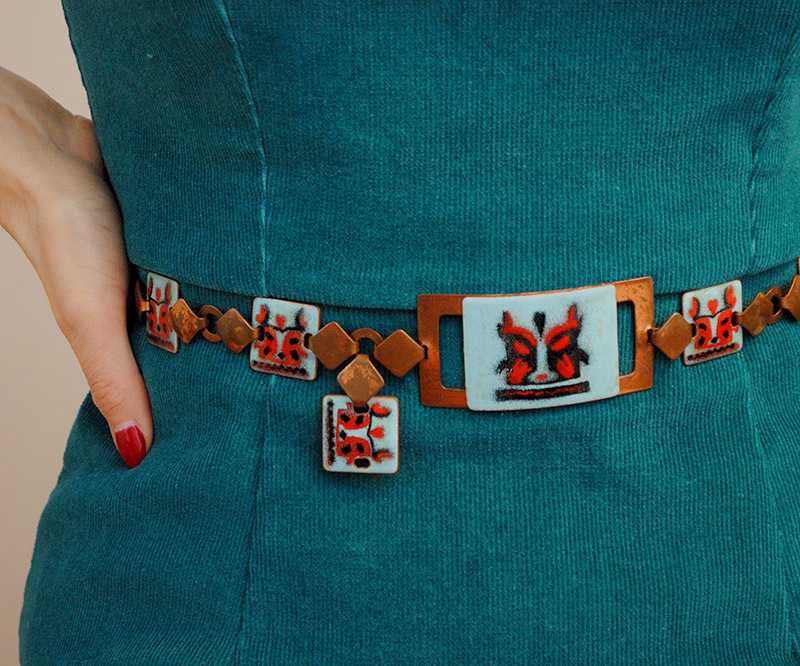 But, it gives me a good challenge to hunt for some interesting vintage belts, at least. And this vintage copper and enamel one certainly qualifies. That’s something I’ve been enjoying lately, hunting for and daydreaming about modernist jewelry. 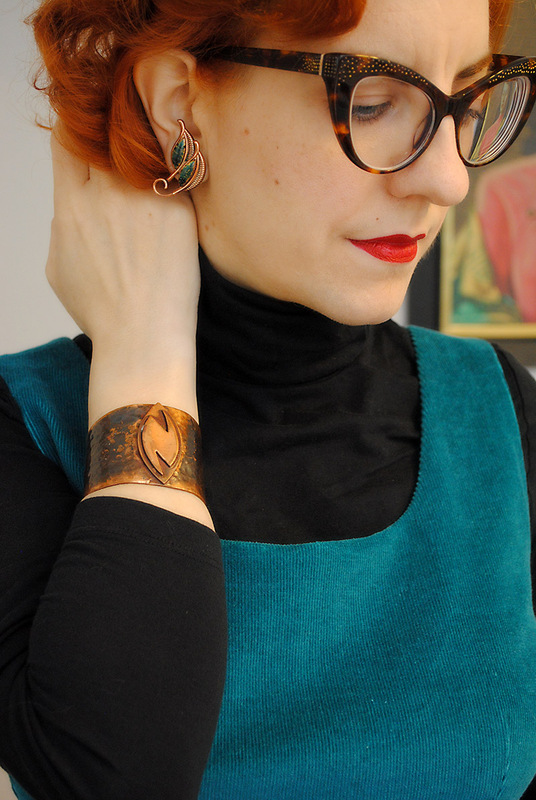 I paired the belt with some vintage Matisse earrings and a mid-century cuff with an interesting provenance relating to my artist grandfather… too long to include in this already-lengthy post, but I wrote all about it in this Instagram photo as kind of micro-blog post. Anyway, I’m very pleased at how the idea of this jumper turned out in the end. 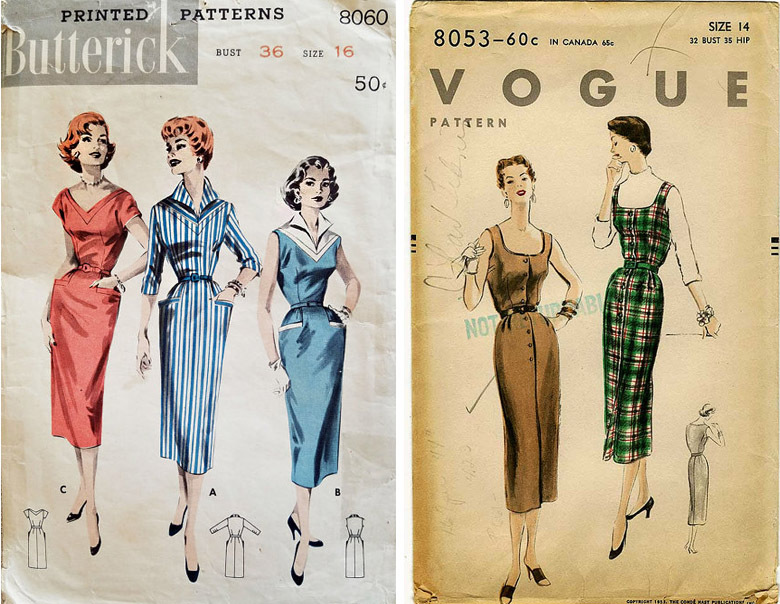 And it’s so similar to vintage sheath dress and jumper patterns! I’m somewhat sad that I used this fabric for the dress only because it means I now can’t make cigarette pants in this teal corduroy as it’s now sold out! And good colors of stretch corduroy have been damn near impossible to find for me this season. (I’ve find purchased some more blue, bit it’s a lighter color so I’m not sure I’ll wear it as much as pants.) I got the idea to try dyeing some myself. I bought enough ivory stretch corduroy to dye fabric for a sheath jumper as well as cigarette pants. I have iDye and iDye poly to mix together, since the fabric is mostly cotton but does have some lycra content to add stretch. I’ll keep you posted if it works out. In the meantime, I’ll be enjoying this silhouette and contemplating future jumpers! That looks great and very comfy–what a great fit. This may be a dopey question, but can you zip and unzip it yourself, or do you need help to do so? That’s a huge thing that keeps me from wearing/making clothes that seem to need physical assistance into and out of! Thank you! I don’t have a problem doing up the zipper on my own, but for dresses with higher backs, it takes a bit of finagling. 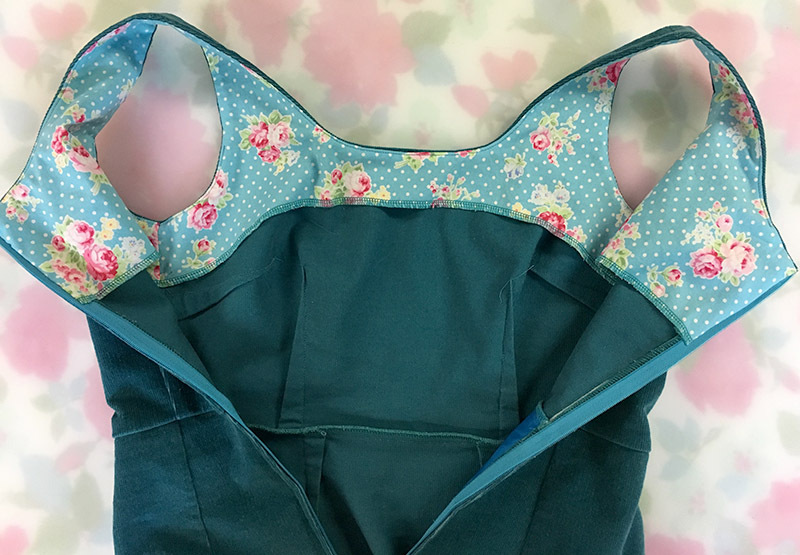 You could do a side seam zipper, which makes the garment more annoying in the sense that you have to pull it over your head, but makes the zipper a lot easier! And while I’ve never tried it, you could always thread a piece of string or yarn through the hole in the zipper, and use that to pull it up from above (i.e. over your shoulder), then pull the string free once you’re zipped! A ribbon with a safety pin works really well. Pin the safety pin thru the hole in the zipper pull. Put the dress on and flip the ribbon over your shoulder from the back to the front. Pull up. The dress needs to be on properly, all pulled down and in place, and it should zip easily if the dress itself is not too tight. If it won’t zip, its probably to tight to wear, comfortably, anyway. They used to make little hooks, kind of like latch hooks, with a chain on it to do this. That probably worked a little better, but I never bought one. 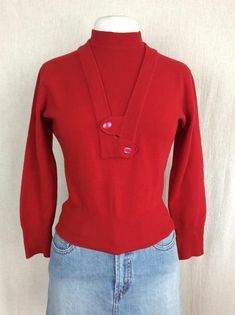 Just a hint for a girl who is old enough to have worn this type when it was popular last time around. I’ve been wanting to make a jumper forever now. 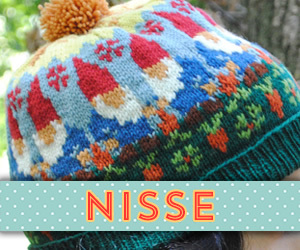 I have amassed maybe 4 different patterns over the years and somehow I never end up making them. You have inspired me to buck up and finally make one! 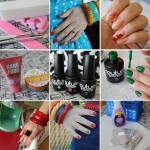 very cute – great color for you. What a job you did on the fit – It’s perfect. Thank you, Linda! I really like this color. I’m sorry I didn’t buy more of the fabric when I could! Thank you! 😀 I’m pretty keen on it myself right now! Oh I love this! You’ve done a fantastic job, as always. Stretch corduroy is hard to acquire in the UK too so I’m really interested to hear how your dying experiment turns out. Thank you! I’ll definitely let everyone know when I try it, if it’s a success. It was easy to get ivory stretch corduroy over here, but we’ll see how it works since I have to do the dye on hot and that’s probably not very good for the stretch content. It’ll be an experiment for sure! 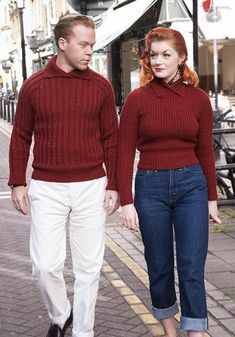 I love your vintage take on the jumper, the fit is great and the colour really suits you. 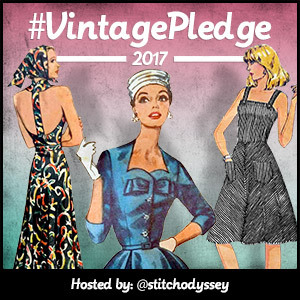 I have been tempted to make one of those modern-day jumpers, but now I realize I should try to recreate a vintage one with a fitted bodice. Thanks for the inspiration! Thanks! I know what you mean, that’s what ended up leading me to the idea of creating my own vintage version with two pieces I already knew worked well for me, and would give me a more retro look than trying to backwards architect something modern. For a corduroy jumper and a turtleneck, this is a pretty va-va voom look! 😛 But of course that’s because everything fits you so beautifully, and that teal is a lovely color on you. I’m loving the copper accessories, they really place nicely with the color of the jumper. 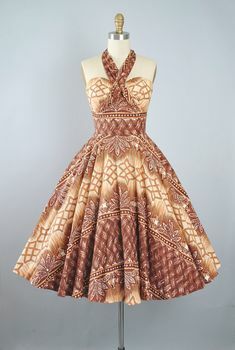 Really gorgeous dress! I was confused at first as ‘jumper’ is a sweater here! But now I understand. Such a shame you can’t get more of that wonderful fabric. I love it! 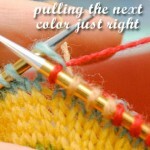 It’s a stunning color and your fitting looks top notch! What a great look! I’d never have thought of combining patterns this way, thanks for the tip! Gorgeous gorgeous gorgeous! As the others have said the fit looks perfect, the shape and colour really suit you. Very inspiring. Wow! That dress fits you like a glove! I love the juxtaposition between the vampy fit and the demure corduroy. 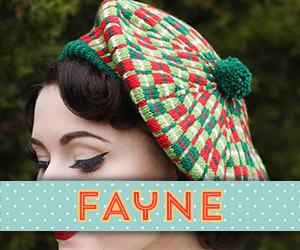 The jumper is gorgeous on you and I really like the idea of a partial interlining. Will definitely have to try that. I have a non-sewing related question actually. I love you glasses where did you find them? I’m on the hunt for something that shape. My glasses are from Bonlook, I love them! They come in a few colors too. Love the jumper. I also especially enjoyed the pattern envelopes you included. 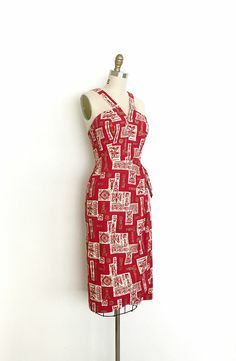 The Simplicity pattern with the somewhat keyhole neckline would be a delightful cocktail/dressy dress and would love to see your take on this. That is gorgeous! I love the color. I have a few jumpers but I haven’t worn them much. Every year I say I’m going to wear more dresses in the winter but I never do. Oh good. 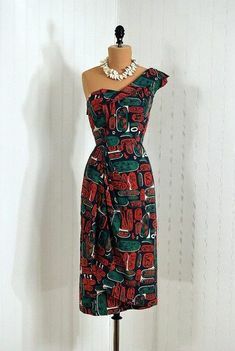 I really wanted to see this fabulous dress gosh I love vintage patterns! 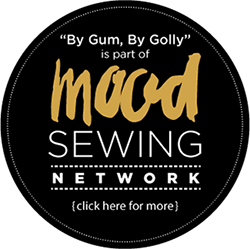 I mean, I hate Isis as much as the next…uh…sewist…but sewing blog! 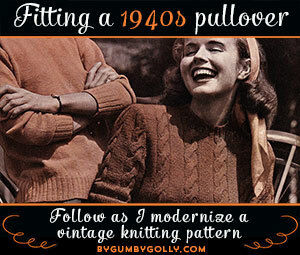 I made a vintage jumper recently. 1968. But I made it into a short bottom and used acid geometric print. 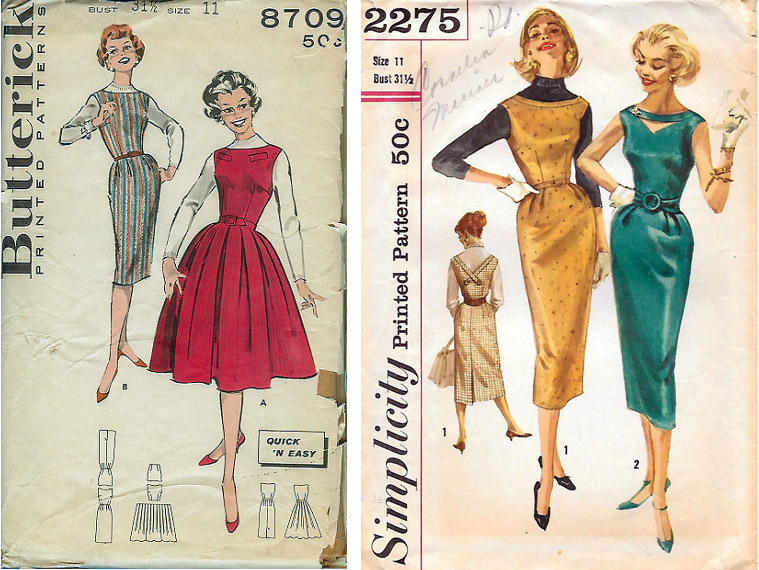 It’s interesting to see the same types of styles done in different fabrics and actual styles. 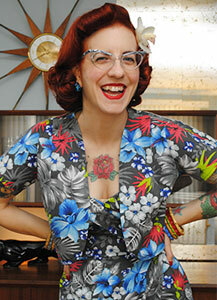 Yours is way more the classy tailored perfect pinup while mine is more “too much acid and orgies in the 60s”. 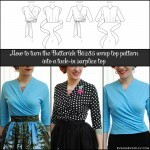 Almost identical necklines and fitted shape but shorts and fabric change and suddenly you go from pinup model to mod! It’s kinda cool. Sorry for repeat comments but that lining is to DIE for. I love surprise insides. Something about them kinda makes it more than the garment itself. Only you (and i guess all of us) know it there but while wearing it or putting it on you still get a smole from your self made soecial surprise. I recently made pants for a flamboyant gay man and I included rainbow pckets and the zip was stolen off a fake neon oink chanel bag. Blue pants (with rainbow aparkle overlay – HELL TO SEW) , but those little details made him so happy. Wow that’s a lot of typos. Extra os and no os where there should be! The fit is amazing and I love the little detail on the facing! I am just in awe of how great this looks and what an incredible job you did on the fitting and adjustments.